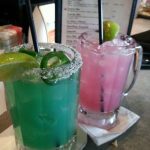 Review: There are strong margaritas that are hard to drink, on the other hand, there is the intense Super Terlingua, a powerful yet surprisingly balanced drink. At each sip (trust me, some may only be able to take a sip at a time) is an equal proportioned blast of flavor from all the ingredients. 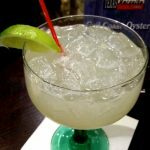 For margarita enthusiasts seeking a lighter easier to consume cocktail, the Skinny Margarita should satisfy your thirst. 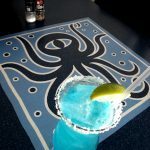 Their margarita menu features several other versions which we are eager to sample at future tastings. Get a copy of our free eBook "Margarita Recipes Revealed" where restaurants reveal their secrets to making the best margarita and include previously undisclosed recipes. We got your margarita mix today. It was very good, excellent job!! It’s delicious! We like the whole package. We have FINALLY found the perfect margarita! I saw your mix and decided to try it on a whim. It was fantastic – best mix I’ve ever had. I will be buying your mix from now on! We love it, best mix you can buy. 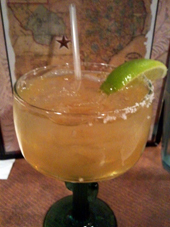 Margarita Texas mix is awesome! Well done! This margarita mix is wonderful. Download a copy of our free eBook "Margarita Recipes Revealed"